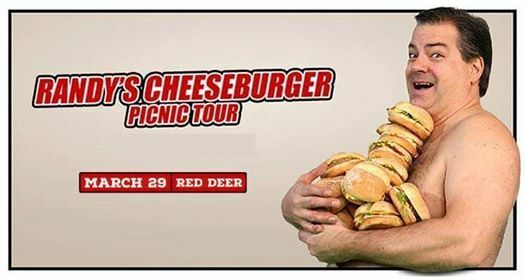 RANDY'S CHEESEBURGER PICNIC TOUR IS COMING TO RED DEER! The Rumors are true Red Deer... Randy from Trailer Park Boys TV Series are coming to The Krossing on Friday, March.29th 2019!! He is coming all the way from Sunnyvale, Nova Scotia to perform his famous, hilarious gut-wrenching comedy show along with a full night of country & trailer park music that will have you laughing all night long! Don't miss out on this VERY rare opportunity. You wont be disappointed!